We’re amazed anyone walked away from this one. 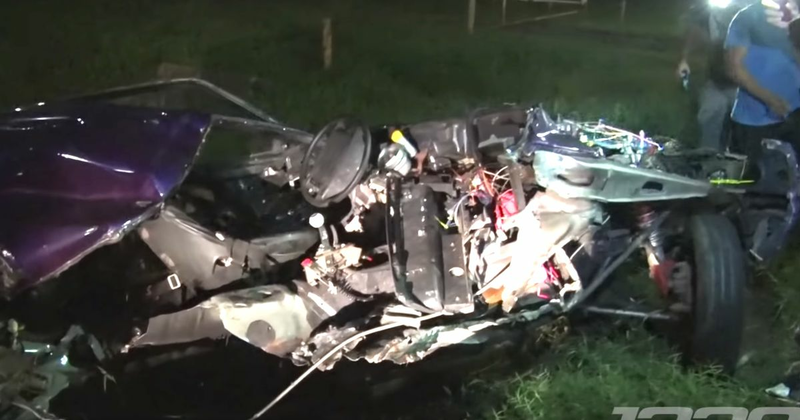 Highlighting the dangers of racing on an unprepared surface flanked by unforgiving bits of road furniture you wouldn’t find at a proper track, a heavily-modified third-generation Ford Mustang is seen smashing into a telegraph pole at speed. The car’s getting out of shape not long after leaving the line, before snapping back and swinging into the pole. The car is ripped open by the force of the impact, which was thankfully on the passenger side of the vehicle. The car didn’t have a roll cage, and the man wasn’t wearing a helmet. 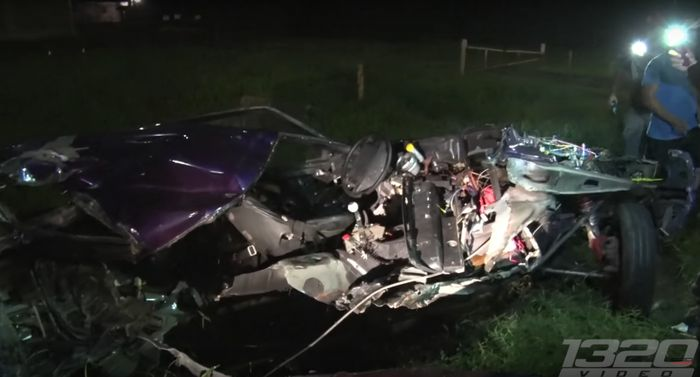 The video shows the dazed driver being extracted, reportedly having suffered a broken jaw, lost teeth, and a broken shoulder. Considering the shocking state of the car - reduced to a twisted metal carcass - he’s extremely lucky.